Now Enrolling for Spring, 2019 And Summer Camp! 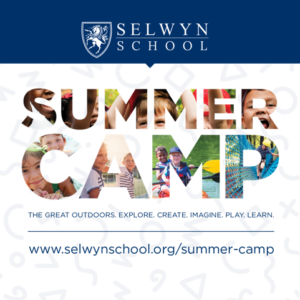 The Selwyn School Preschool Program is specifically designed to provide a secure, open and engaging experiential learning environment for children ages 3-5 in our brand new building that is colorful, fun and visually stimulating. The modern building offers an environment that encourages a life-long love for learning. Each classroom has both secure indoor and outdoor spaces, perfect for nurturing the natural curiosity of children and meeting their desire to engage with the world around them. It’s the ideal space to elevate curiosity to discovery, then discovery to learning. Our Pre-K Program is inspired by the Reggio Emilia educational philosophy, a belief that children learn best from three different educators: their parents, their school teachers, and their environment. This is why we’ve worked so hard to create a learning space that will immerse our young students in a highly stimulating environment that embraces their love of learning from all three types of instructors. In our program, each child will receive the individualized attention they need and deserve. Children learn best by interacting with their environment, which is why our preschool students enjoy play as one of the essential elements of their educational experience. In addition, our teachers will actively involve you in your child’s education so the learning process can continue at home. As a member of the National Association of Independent Schools, Selwyn School provides one of the most thoroughly comprehensive and developmentally appropriate array of student-focused learning experiences in the Denton County area. Our preschool program was created with progress in mind. Studies support the idea that early childhood education is more than learning primary colors, promoting language and literacy skills, and beginning to establish mathematical competencies. While our Pre-K Program prepares children for the fundamental building blocks of learning we offer in our Lower School kindergarten classes: listening, reading, writing, and arithmetic, we also focus on the social and emotional aspects of childhood development to further ensure all of our students can grow up to be happy, healthy, and successful adults.